Freestanding microwave and grill is rated 4.1 out of 5 by 35. 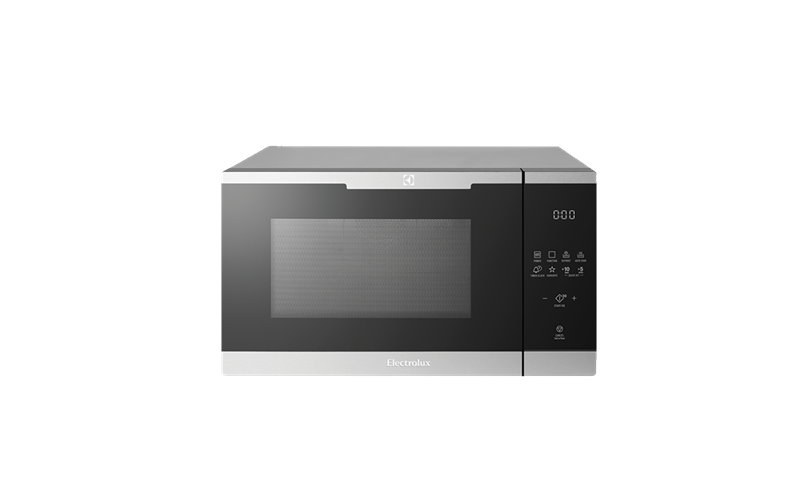 Rated 5 out of 5 by Di 46 from Easy to use Smart looking, more powerful than my previous microwave - have to remember to cook for less time! The convection oven is great, especially as you can use dual purposes for cooking. So easy to use with just a few controls so is not overwhelming. Rated 1 out of 5 by Allison from Only lasted 4 years Worked well until one day just stopped working. Only lasted for 4 years. Rated 1 out of 5 by Walker from only lasted 3 years We really liked this microwave it functioned well, built in model and looks good, BUT it only lasted 3 years not good enough, can't be repaired as they don't do that anymore, so overall pretty poor. Rated 5 out of 5 by savvyshopper from Just what I needed This appliance delivered everything I wanted, with no fuss. A multi-function appliance that combines microwave, grill, convection oven and combined cooking is such a great use of energy and space, especially when you have only one item to process. It looks smart on the bench. It's a smart idea to have only one tray that you can use as a high or low rack by reversing it. The legs double as holders. This appliance is easy to use. One very small quibble - a slightly larger internal space would have made it easier to fit my existing cookware. Rated 4 out of 5 by Rod24 from Versatile This is a great little oven but Electrolux could have provided a much moire detailed manual so the user has a better idea what is happening. There is no indication of microwave power on combi cooking or the cooking temperature. I guess we I'll get used to it, but it would be good to have a little more control. Rated 5 out of 5 by polevalter from The Best Microwave/Grill Ever I have had my microwave/grill for 2 months and use it for most cooking. It's easy to use and super quick. Cleaning is easy. It always looks clean with the special fingerprint free surface. Thoroughly recommend this useful kitchen must have.